(Newser) – "I am shaken to my bones by the e-mails, texts, postings and phone calls of the past few days. I made a terrible mistake." 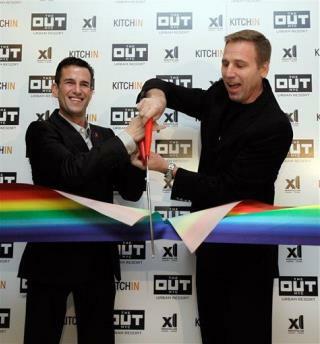 These are the words of gay New York City hotelier Ian Reisner, who's taking no small amount of flak since hosting an unlikely presidential candidate: Ted Cruz, whose anti-gay marriage views are no secret. Yet last week saw Cruz at a reception at an apartment belonging to Reisner and Mati Weiderpass, two leading figures in the gay hotel industry, the New York Times reported. The event, dubbed a "fireside chat," prompted outrage from groups supportive of gay rights, Politico reports. First of all, I have absolutely no use for Ted Cruz. That said, there seems to be a big double standard here. Many gays believe this hotel owner should have boycotted Cruz because he doesn't agree with gay views, however, they complain when gays are boycotted by a religious person because the gays don't agree with religious views. Tempest in a teapot. Fred Crudz, the Cuban Canadian, will implode probably before even Aquabuddha Paul does once the run this year's version of the GOP Clown Car into the same brick wall that they did last time. Cruz is a clown but if hotel owners that only rent space to people they morally politically agree will go out of business fast.